Continuing to update its signature footwear look. Continuing the focus on its iconic Tabi shoes, Maison Margiela recently went full sport functional with a trail running take on the unorthodox split-toe footwear silhouette. Made in Italy, the new Tabi Medic Strap Sneakers are constructed of rubber, neoprene and leather elements for a rugged design. The tip of the shoe features the signature Tabi split with a rounded edge attached to a high neoprene bootie upper. 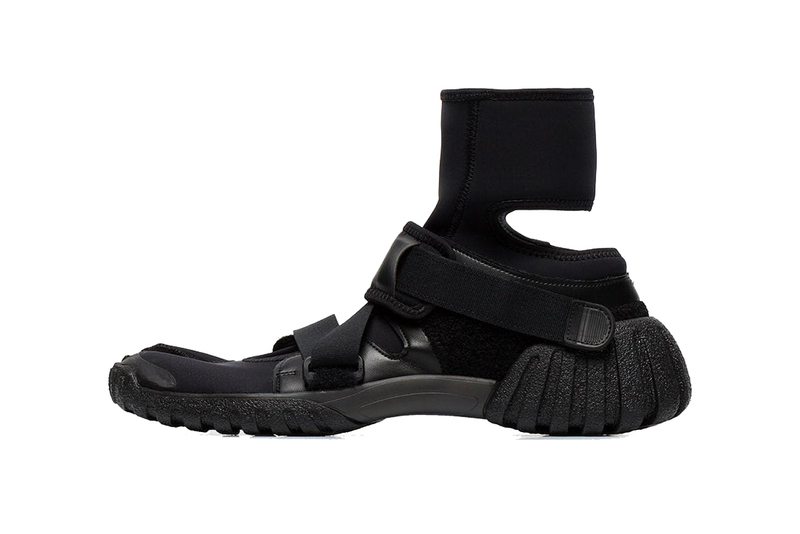 Offering more functional support to the shoe is an elaborate velcro strap fastening and a textured rubber outsole unit. In case you missed it, here are 10 lifestyle items to revitalize your home for Spring 2019. Offered up in natural tan or black. Bang & Olufsen just got a little more elegant. Celebrate the Spanish fashion house in style. Tyga Talks Summer Pleasures in Latest Track, "Goddamn"
A contender for your Summer playlist. Giving a detailed behind-the-scenes look at his company, ARCH Motorcycle.